Crossing Borders III - by Alight Films on Vimeo. Music matters. One of the noblest human pursuits, mastering a musical instrument requires focus, persistence, determination. 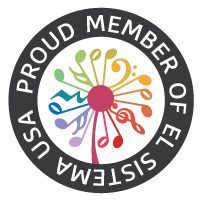 Learning music in an ensemble setting develops listening skills, fosters respect for others, and instills a sense of belonging. Sharing music with the community becomes an act of service. When we celebrate, when we grieve, we turn to music for expression. The opportunity to experience the life-changing power of music is a human right, not just a privilege for those who can afford it. This is El Sistema. This is BRAVO.